My graduation parties are almost here, less than a week away actually! And yes, you read right, they ARE in PLURAL! The first party is an afternoon coffee reception for my family and other relatives and the second is for my friends! I’m in the midst of planning the menus for each of them. 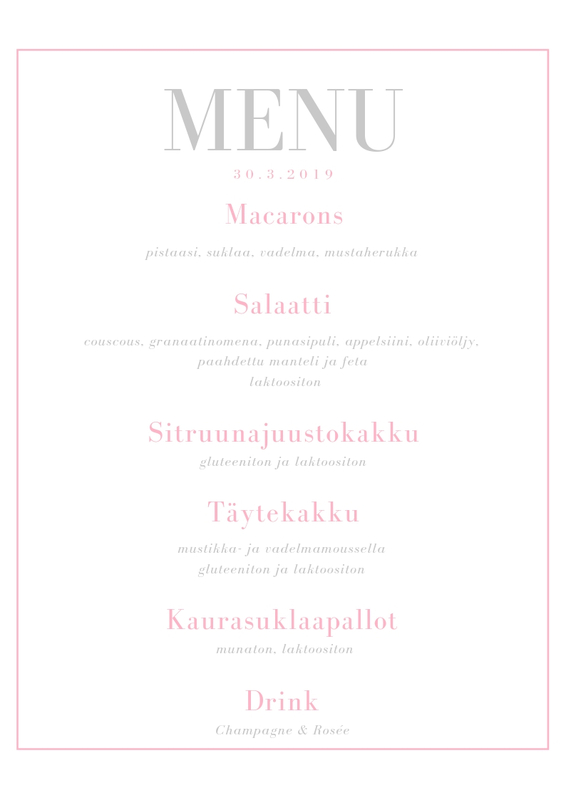 The menus are rather simple and quick to prepare, because I’m going to do them myself. Planning a menu is difficult. It is dependable on so many things: the amount of the guests, the theme of the party, the time of a day… I’m currently having some trouble with serving more of something salty other than a pie or a salad… I don’t even know how much should I serve salty versus sweet. I think it depends a lot whether the guests have eaten before they arrival. 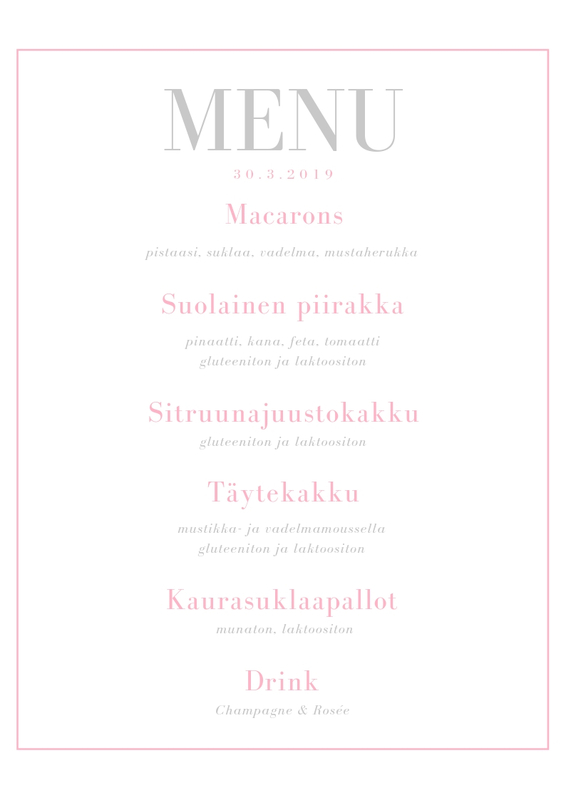 By the way, I made the menus with Canva. (They are in Finnish, sorry!) I love it and I use a lot to create graphics. It is possible to use only the free version e.g. if you’re planning to host a dinner party or even a wedding some day! With a small fee you can do even more e.g. web design for companies etc. Last weekend I went shopping for some supplies used in baking and some decorations. I’m still missing flowers, balloons and drinks… And then there’s the baking of course! But I’m so excited and I can’t wait until next Saturday!